ALL NATURAL - CAFE TRADICIONAL. Fine Grind and vacuum packed. Net Wt. : 250g. 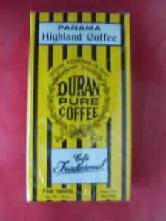 Pure coffee without colorants and preservatives.